A twelve week course designed to take the student through the tarot journey. Through this journey, helping him decode every card in all the different aspects it carries, develop the intuitive abilities as well as teaching various predictive techniques by the end of this course. This course gives the aspirant a working knowledge with Arcana Cards and how these relate to different areas of life, relationship, career, finance, creativity, health, children and spirituality. Tarot is a wonderful self development tool. Here you will learn how to use tarot for your self development. It helps you to unlock various hidden aspects of life and help you understand your own self more deeply and precisely. Tarot can be used to bring the light to the hidden aspects of various life issues, this will be beautifully guided to the aspirant. Tarot is widely used as a divination tool but only a few can relate with it as a healing tool. A light into tarot as a healing tool will be guided to the student. 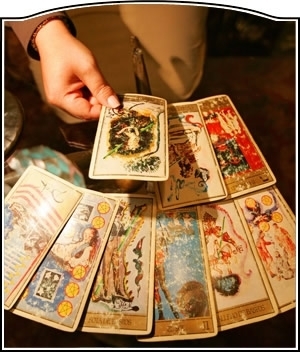 This course will enable the student from a novice to a professional TAROT READER. The professional path will also be carved and guided with all the details for the learner. A complimentary TAROT DECK, stationery and a handout to make self notes will be included in the course set. The basic interactive session to tarot requires 6-8 hours. Thereafter guided practices will be directed that the student has to complete as assignments. Timely Follow ups will be conducted throughout the course and queries, further guidance, various activities that enhance your tarot skills will be the part of this follow ups. Student will be added in a support group where he can freely ask for any help in his journey of tarot. Register your seat to receive a complimentary Tarot Deck.